The black shimmer cardstock as well as the gold cardstock were in this kit! The pop-up die is so much fun as were the little burst dies that cut out. Even the word dies "cheers" and "party" were included! This kit was such a fun one! I added some Pearls and Pretty Pink Posh Sequins as well as the Gold Glitter Paper to cut out the small burst and "cheers"! As of this post, there are some of these Hero Arts kits available so if you are interested, hop on over and grab one. Most every month these kits sell out because they are such an awesome value! Thanks so much for stopping by! Hope you have a Merry Christmas and a Happy New Year! Hello! Hope your week is off to an awesome start! It's hard to believe that this Sunday will be Christmas Day! This month has flown by! 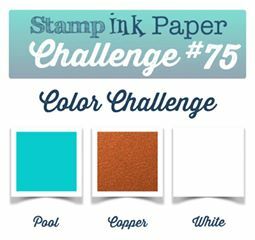 This week at Stamp, Ink, Paper we have an Anything But Christmas Challenge! How easy is that?? If you haven't finished your Christmas Cards by now, just give up like I did! lol Seriously this has been a terrible month for me. I had strep throat one week, pneumonia the next week and last Friday I was back at the doctor and was diagnosed with acute bronchitis! All I can say is what I have gotten done, was done, and what was left won't get done! My body has definitely told me to take it easy! 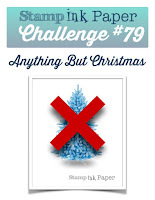 Well, back to this week's fun challenge, here's the challenge badge with link to the SIP Challenge Blog! So since I've been so sick and unfortunately been out of work way more than I should have, I made a card for my sweet assistant, Nikki. She has taken on a lot of my work these past three weeks as I'm super grateful for her! Now I have to tell you that I am in love with this Distress Ink Watercolor Smooshed Background. I was lucky enough to be the winner of 2 classes from Online Card Classes in the Facebook group Stamp Junkies. 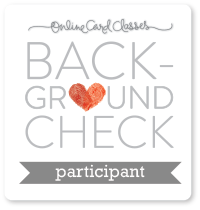 One of the classes I took was called Background Check and it has some fabulous background techniques. The classes were donated by Jennifer McGuire and she has been such an inspiration to me since I've been making cards. I believe I have seen every video that she has ever put on Youtube! I had heard her mention the classes but had never really checked them out. Well let me tell you that they are definitely wonderful and video and information packed. There are so many downloadable resources and I definitely believe they are well worth the money if you are looking for something like that! I'm sure I'll purchase classes in the future now that I realize how much information and access you get! Ok, so on to my card. I made this background with Ink Smooshing Picked Raspberry, Mustard Seed, and Peacock Feathers Distress Inks onto Watercolor Paper. I loved it so much that I didn't want to cover much of it up so I kept this one really simple. I used Mama Elephant Basic Creative Cuts Dies to cut a pretty scallop panel from the watercolored background. I used the Simon Says Stamp "You Matter" stamp set and coordinaing "You" die for my sentiment. The "You" was cut out of SU Basic Black Cardstock twice and then glued together before placing on the card front for more dimension. The "are pretty amazing" sentiment from the You Matter stamp set was stamped in Memento Luxe Tuxedo Black Ink and then clear embossed. I used my Misti to stamp to make sure that it got good coverage and was lined up exactly where I wanted it. I didn't want to take a chance of messing up my gorgeous background. Once I had the sentiment on, I added 3 black enamel dots and added a few splatters from some Distress markers. I mounted my panel on a Basic Black A2 cardbase and then added three loops of black baker's twine around the top portion of the card and tied it into a small bow. I absolutely adore how it came out and hope you love it too! Hello and Happy Tuesday! Can you believe that it is almost Christmas??? 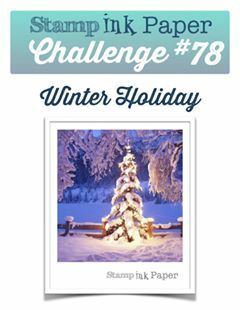 This week's Stamp, Ink, Paper Challenge is a Winter Holiday Themed Card and I had just a couple of Christmas cards left to make so that's what I went with. This means, yes, yes, yes, I am finally done with my Christmas cards! Woo Hoo! I decided to have a little fun with the Hero Arts Color Layering Christmas Tree Stamp Set for this week's card. This Hero Arts set made layering this one up super easy. The greens I used for the trees were Stampin' Up! Pear Pizzazz, Garden Green, and Mossy Meadow Inks. I heat embossed the last "snow" layer in white embossing powder. 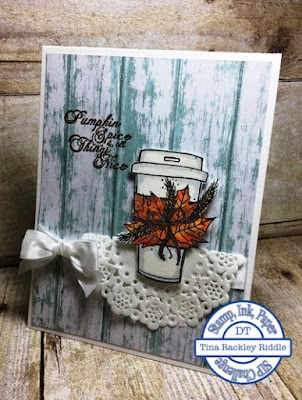 I think the "puffy" embossing powder will make for some fun snow though, I have some on order and waiting to receive it! After layering up my trees, I masked them off as well as a snow bank and then sponged in various blues for my sky. I finished it off with some white gel pin flicks to mimic falling snow and then a few sequins. It was a super easy card to create and really looks beautiful. helped me make a few more. A few more, yep.. a few more. I made 4 cards before I decided which one to use for my Design Team Card. Here's the one I went with.. 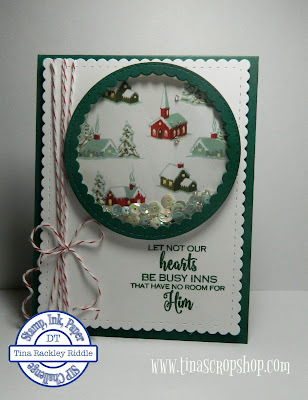 I know the circle is a bit bigger than the one in the sketch but I really wanted to use the scallop circle from the Mama Elephant All Prettied Up Creative Cuts Dies since I had use those same dies to cut the stitched scallop card front. I used some retired Stampin' Up! DSP for my window scene. My very favorite part of this card is the sentiment.. oh how I adore this sentiment! 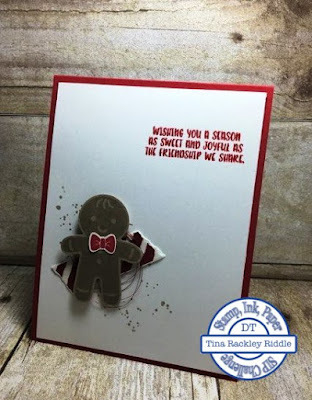 It is from the Gina K Designs Home for the Holidays Stamp Set! I plan on using this one for many of my cards this year. Yep, I know, I know, I need to get these cards finished! Hello and Happy Wednesday! I hope your week has been going well! I've been sick for a few days but I do believe the meds are kicking in! Thank goodness! 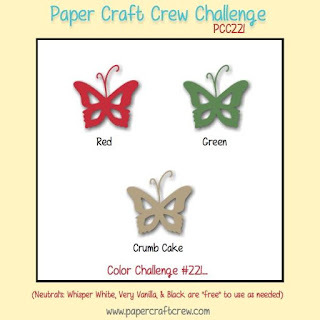 I'm super excited about this week's Paper Craft Crew Challenge! 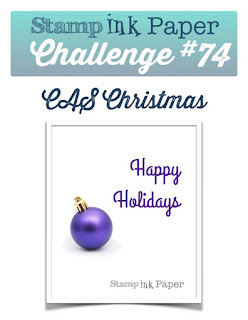 It's a color challenge that is perfect for Christmas and you know I still need to finish some of my Christmas cards! Why was I so excited about this color challenge?? Because I had purchased a brand new Concord & 9th Stamp called "Barnwood Background" from my friend Justin at the Stamp, Ink, Paper Store! 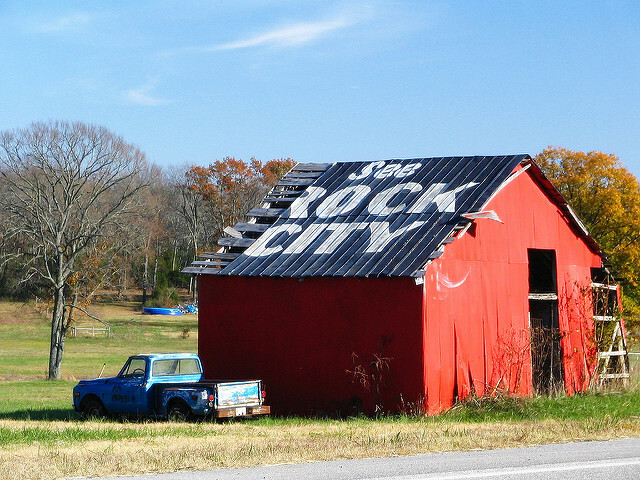 I don't know what Barns looks like around where you live but here in Middle Tennessee they are Red and usually have "See Rock City" painted on the roof! So... what color are Barns in your area? I thought all barns were painted red but my husband told me that the Rock City folks painted the barns red as payment to paint their advertisement on the roof. Ok, so I knew I wanted to use the Barnwood Background Stamp with Red because in my mind, that's the color barns are. lol Then I remembered another awesome stamp set that I bought from the Stamp, Ink, Paper store.. Hero Arts Color Layering Cardinal! So I combined the two and this is what I came up with. I love it! Ok, so let's get started with the scoop on this one. I started with an 11 x 4 1/4" base, scored at 5 1/2" for a side folding card. For the barnwood background, I stamped first in Versamark, and then in SU Real Red Ink and then stamped it on a piece of 5 x 3 3/4" SU Crumb Cake Cardstock. I then sprinkled it with clear embossing powder and heat embossed it. Next I stamped the limbs with SU Chocolate Chip Ink onto more of the Crumb Cake Cardstock. I also stamped the Pine Sprigs onto Crumb Cake with SU Garden Green Ink. I then cut all of these pieces out with the coordinating dies by Hero Arts and adhered them with 2-way glue onto the Barnwood layer. 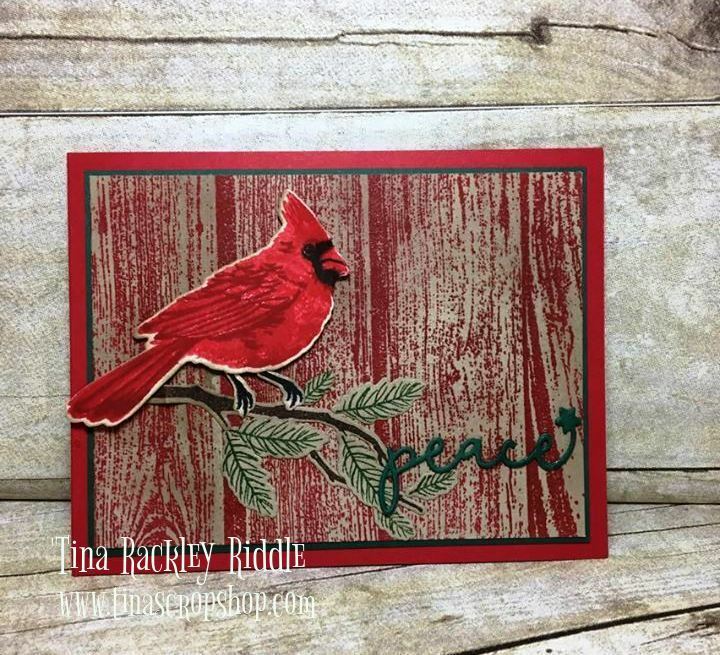 The Cardinal was stamped onto Layering Weight Ivory cardstock by Gina K Designs. 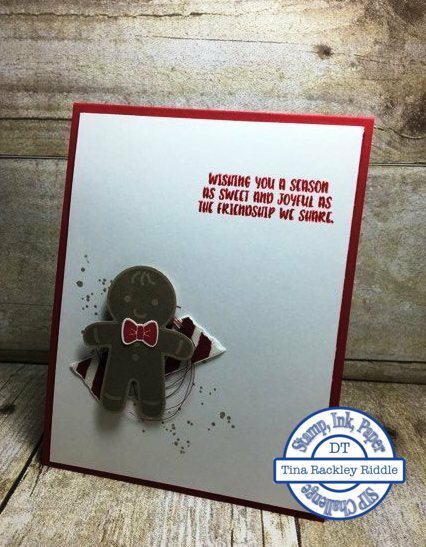 The 1st layer was stamped with a light coat of SU Real Red Ink, the second layer was a heavier layer of SU Real Red Ink, and the third layer was stamped in SU Cherry Cobbler Ink. The face mask layer was stamped in SU Archival Black Ink as were the feet. 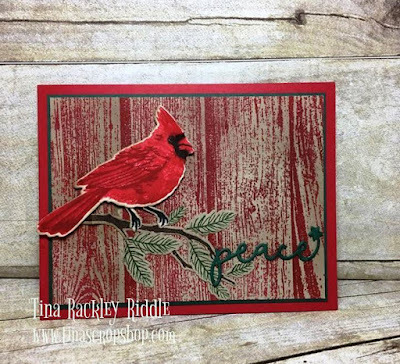 I cut out the cardinal and feet with the coordinating dies. I then attached the feet to the bird with fast fuse and then attached the Cardinal with foam dimensionals. The "Peace" die was a freebie that I received from Taylored Expressions and it was cut from Gina K Designs Christmas Pine Cardstock. I cut it out twice and glued the layers together for a bit more dimension and then added it with 2 way glue to the bottom of the stamped layer. I then attached that layer to a 5 1/8" x 3 7/8" of Christmas Pine and then mounted that on my Real Red Card Base. I love how it turned out and I hope you like it half as much as I did. Thanks so much for stopping by! Hello and Happy Tuesday! I hope you had a wonderful Thanksgiving Holiday if you're from the States. I had 5 glorious days off! It was so wonderful and a much needed restful Holiday. 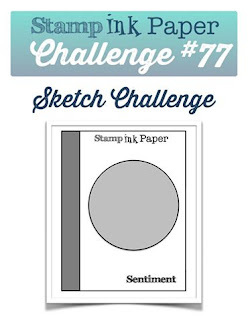 Well back to the matter at hand.... since it is Tuesday, I'm back over at Stamp, Ink, Paper with my take on a new Challenge. 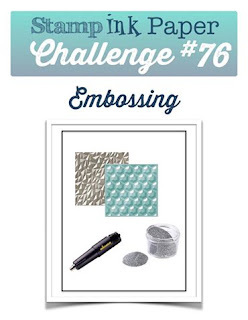 This is all about embossing.. either heat embossing or dry embossing. I love them both but I chose heat embossing this time. 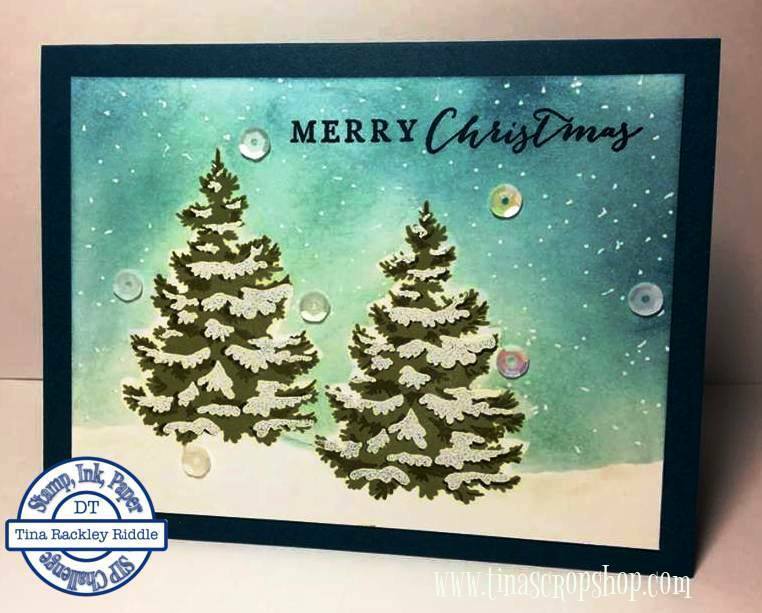 Here's my card showcasing a two fabulous stamp sets from Gina K Designs called Festive Foliage and Music Background Stamp. These are truly awesome sets! I used Gina K Heavy Base Weight Ivory for my A2 cardbase. My stamped layer was Gina K layering weight Ivory cut to 5 x 3 3/4". I stamped the Musical background stamp onto the layering weight Ivory with Stampin' Up! Crumb Cake Ink. After stamping it, I sponged the edges with more Crumb Cake Ink. 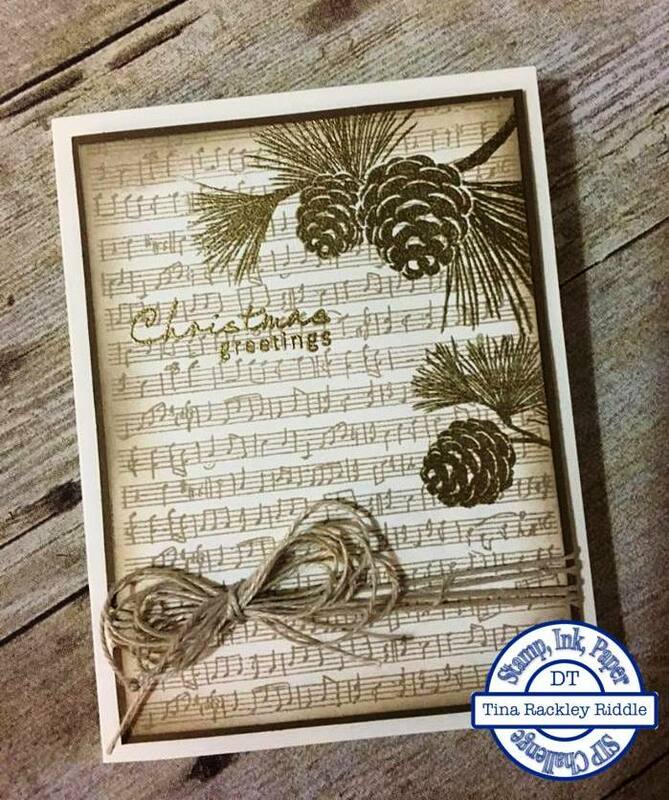 I heat embossed the Pine Images and the sentiment from the Festive Foliage Set with Gold Embossing Powder. After heat embossing, I layered the stamped layer onto a 5 1/8" x 3 7/8" piece of Stampin' Up! Soft Suede Cardstock. I ran some Natural Twine around the layered pieces a few times and attached a Twine Bow to it. The layers were attached to the card base with foam tape. Hello and Happy Wednesday! Are you ready for Thanksgiving? I hope so because you're running out of time! 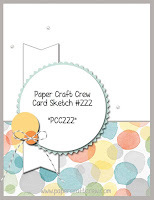 Well if you are ready, why not head over to Paper Craft Crew and check out the awesome new sketch challenge?? I knew this would come in handy as my hubby loves anything related to fishing! 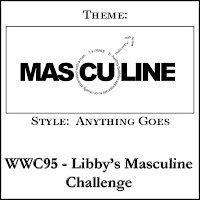 And since this fits the bill, I'm going to enter this card in the Watercooler Wednesday Masculine Theme Challenge! Hi Friends! I hope you are having a wonderful week! This has been a hard week at the Riddle house as we lost one of our loving dogs, Snooki, this week. It is never easy to deal with the loss of a pet and our dogs are family to us. 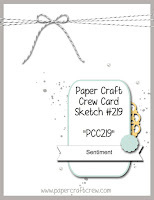 After a couple of pretty bad days, I finally got back into my craft room today to make a card for the Paper Craft Crew Sketch Challenge. Of course, I felt the need to make a dog card so I pulled out a super cute stamp set from My Favorite Things called "You Have My Heart". 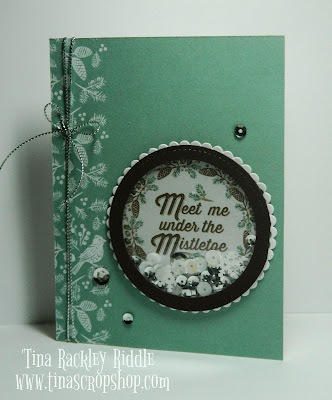 I was all over the board with the products that I used on this cute card... MFT Stamp set and dies, MFT Rounded Rectangle Dies, Bo Bunny 6x6" "Believe" paper, Stampin' Up! 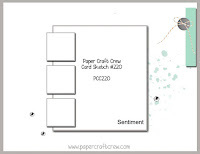 Soft Sky Cardstock, FSJ Butter Cream Cardstock, Stampin' Up! 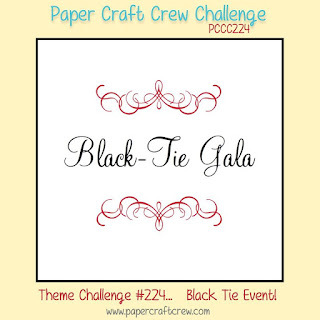 Black and White Twine, Doodlebug Design Sprinkles Enamel Dots, Doodlebug Limeade Mini Paper Doilies, FSJ Electric Lime Silk for the splatters, Memento Tuxedo Black Ink and various Copics for the coloring. How is that for being all over the place?? I sure had fun pulling it together!